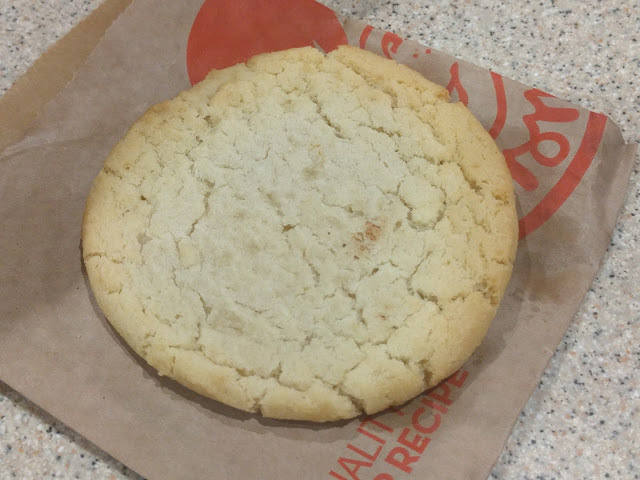 Wendy's Sugar Cookie features a "traditional" sugar cookie baked in each restaurant daily. It goes for $1.39 or 99 cents as an add-on to a meal. The cookie was fairly flat and fairly large (maybe about 4-inches in diameter). It doesn't come warmed like you might get at Arby's or KFC. 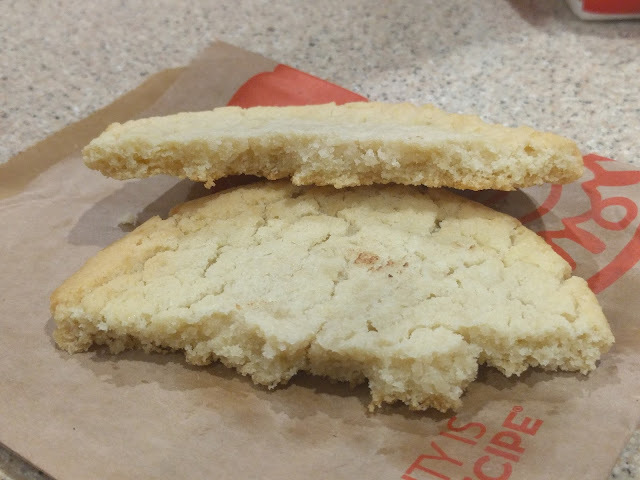 The cookie offered a nice crispy crust with a soft, chewy interior but didn't feel all that fresh. In taste, it hit a nice, not-too-sweet balance but suffered at the tail end from an overdose of vanillin. When it comes down to it, Wendy's Sugar Cookie was decent enough but you get more variety buying three cookies for around the same price at McDonald's or Subway and a better quality, warm cookie for close to the same price at Arby's.